Anyone with an interest in promoting their website and business (which should be everyone) will always be looking for new ways to improve their SEO. There are constantly new articles being written on the topic, with tips and tricks to help you rank higher and gain more visibility. More often than not, however, these articles reiterate what is already known: high-quality content, backlinks, and strong keyword usage are key factors of a good SEO ranking. This all remains true, but what is more helpful is to consider some strategies that are now being weighed more heavily in order to improve your performance to the highest degree possible. So, what are the top SEO trends to follow? Read on. Everything you do on your site is, ultimately, for the sake of visitors. No matter what you do, it will all be for naught if visitors will not stay on your site. It is essential, therefore, that your site offer the best user experience possible. Fast load times and a responsive, easy-to-navigate design are critical elements of a user-friendly site. Google suggests a load time of less than 3 seconds to keep visitors from clicking away from your site. Additionally, you want people to be able to find their way around your site with a minimum of fuss. Failing to meet these criteria results in user frustration and a higher bounce rate. Voice search is something you will likely be hearing more and more about in the near future as it grows in popularity. Already, a great deal of search is being done via voice search. Nearly 20% of people use Siri on a daily basis, for example, and by 2020, 50% of all searches will be done with voice search. This is an extremely important trend to be aware of because it dictates how future content on your site should be created. Where once it was sufficient to have short and simple keyword phrases like “best family restaurant,” the conversational nature of voice search means that your keywords should now be along the lines of “what is the best family restaurant near me?”. Note the inclusion of “near me” in the example. Voice search tends to be more focused on the user’s general vicinity. Your written content will need to take this into consideration and not only match the natural-speaking style of voice search, but also be up to date with information on your location, allowing those in your area to find you more easily. 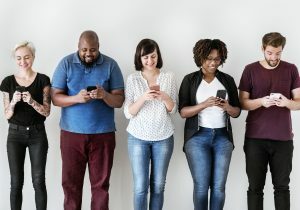 With ever-increasing amounts of online activity taking place on mobile devices (currently between 50 and 60% of all search queries), it is critical for your website to be fully optimized for mobile. What does that mean exactly? You have likely encountered various sites that simply do not display correctly on mobile. A site properly optimized for mobile will be just as attractive and functional as a desktop site. This may not be an issue for you if you have a mobile version of your site or a responsive theme that adjusts automatically to the type of device being used. Having a proper mobile-friendly site is not only important for the sake of appearance. It will ensure that you will appear in mobile searches. You’ve put a lot of effort into your site; don’t let it become invisible to half of your potential audience. Yes, you read that right; don’t aim for position 1 in SERP (Search Engine Results Page). Aim instead for position zero. Google now features “snippets” which appear at the beginning of the results page. It is a much more visible location that should result in a great deal more traffic to your site. Being in the featured spot also automatically lends your articles a greater sense of authority, as you will be in a prime location with a greater visual impact. Most SEO experts feel that as voice search grows, the prevalence of snippets will grow to match, making “position zero” an extremely desirable bit of real estate for those who want to be noticed. Good SEO takes more than knowing what works; it also considers what trend is developing. By knowing what trends are poised to take off, you can be sure that your site and your rank in SERP rises with them. If you have any questions about SEO trends, need some advice on how you can benefit from the voice search, or just need some help with any facet of your online marketing, contact us at Marwick Marketing!